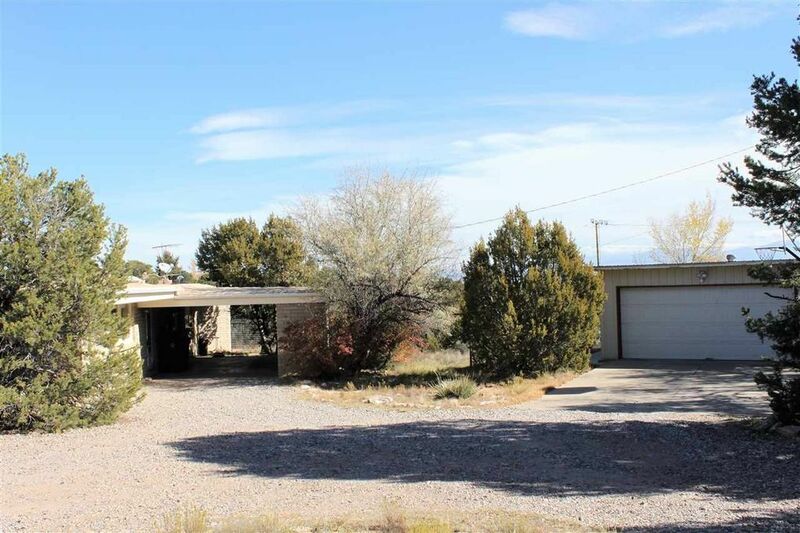 If your home wish-list includes a vast, three-acre lot and a large, over-sized shop, then this property is for you. The 2.96 acres is a great escape in the desired Pajarito Acres. The property includes an over-sized, two-car garage plus a separate workshop. You'll have plenty of room for all your hobbies. The home features an attached car port and abundant storage. Inside, step in to the completely remodeled kitchen. Maple cabinets, tile backsplash and modern lighting are only some of the features. To the left of the kitchen is an office or large pantry/storage room. Through the beautiful kitchen is a living room with lots of natural light and picture windows. Beautiful tongue and groove ceilings and wood beams are throughout the home. Down the back hall, find three bedrooms and a modern, remodeled bathroom. The master suite is separate from the other three bedrooms also featuring a remodeled, modern bathroom. There is a nice balance between architectural design, old-world wood and modern finishes. A home inspection is available, floor ducts have been repaired and fresh paint throughout. This home is ready for you to make it yours. Call today for a showing appointment.